In my last article, 7 Field Service Processes and Workflows to Automate Today, I covered discrete field service processes that make up an overall complex workflow. 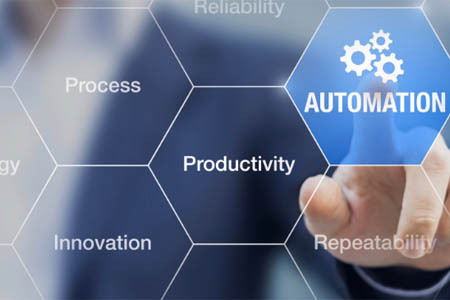 Taking these processes and building a fully automated, end-to-end business process workflow, is the ultimate goal for most organizations that maintain a field workforce. Here, I’ll cover an end-to-end field service operations workflow that has proved invaluable for our customers. While it is specific to one industry, it is nonetheless applicable across similar field work and that I hope you find the details useful across your service operations. In the oil and gas services industry, immense pressure is placed on organizations to maintain compliance with regulations as well as adhere to stringent safety standards or face staggering fines. Oil and gas service organizations are also required to conduct what is known as plant rounds, whereby an operator walks the plant on a regular schedule gathering such information as temperature and pressure data or observations based on human senses (i.e., sight, sound, smell, etc.) for an asset or set of assets. These plant rounds are sometimes required to be completed up to six times per day, which makes it a perfect case for field service automation of the recurring task. Imagine a complex natural gas processing plant that must be inspected every four-to-six hours to ensure the plant is not operating out of range or on the verge of malfunctioning that could lead to a plant outage.